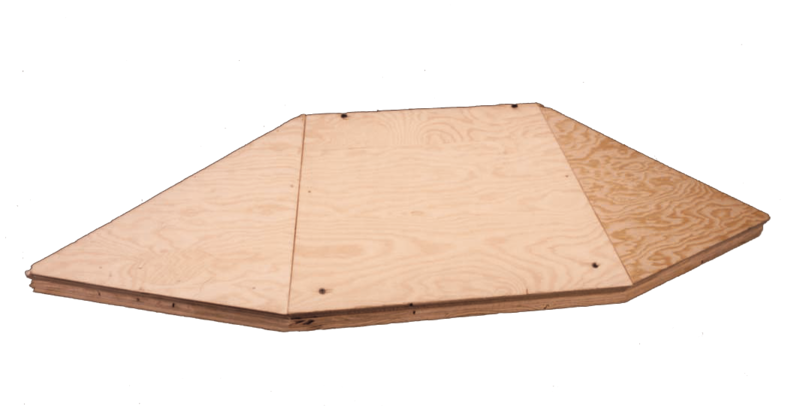 Bay World Manufacturing’s pre-assembled wood roof system dramatically reduces roof construction and installation time. 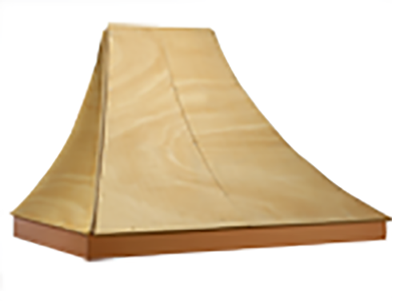 3/4″ exterior grade plywood construction with 2×2 rafters. 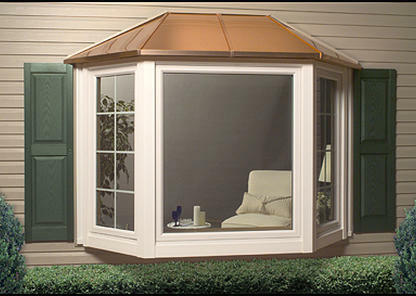 Top panels are screwed into place and are easily removed to attach unit, complete hanging system assembly and insulate. 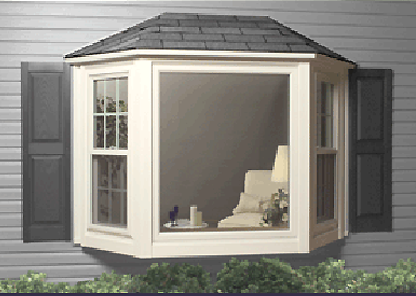 Standard roof back height is 12/12 pitch, back height equals the exterior projection of the window, plus 3 1/2″. 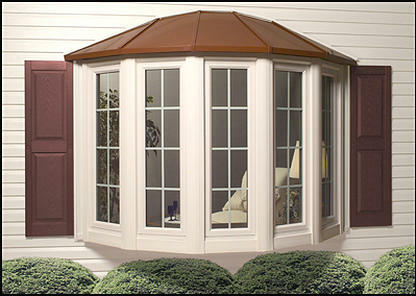 Custom roof back height can be specified with no additional cost. 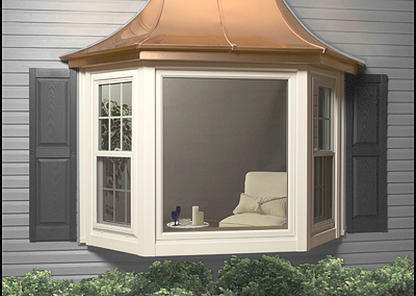 Roof system is designed with a 3 1/2″ overhand (soffit) and fascia. Colors may vary on your computer screen. 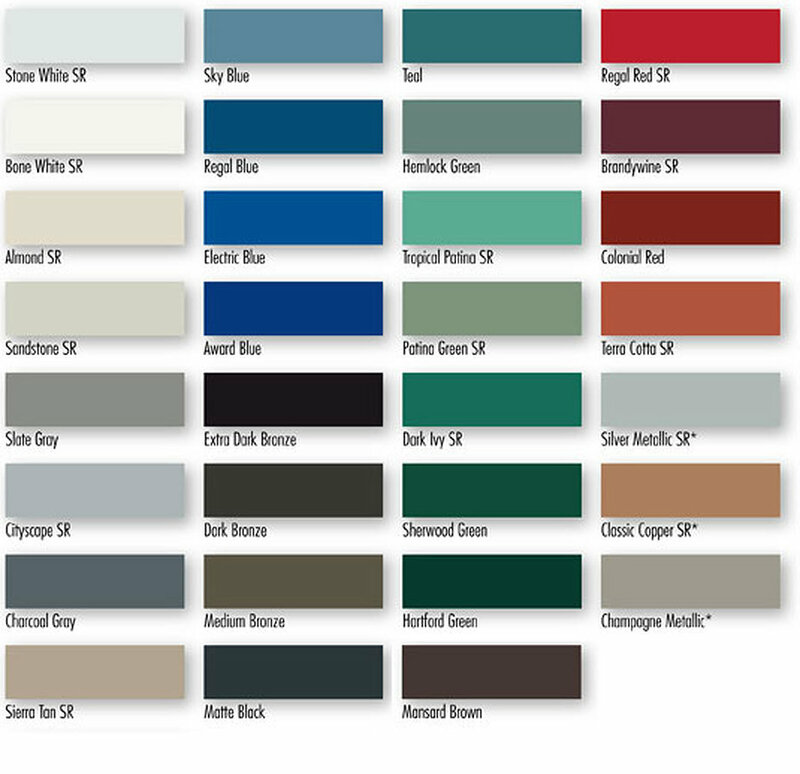 For a true color representation, please contact us for actual metal sample(s).